The Old Mutual Customer Engagement campaign needs to be fun, entertaining and integrated. 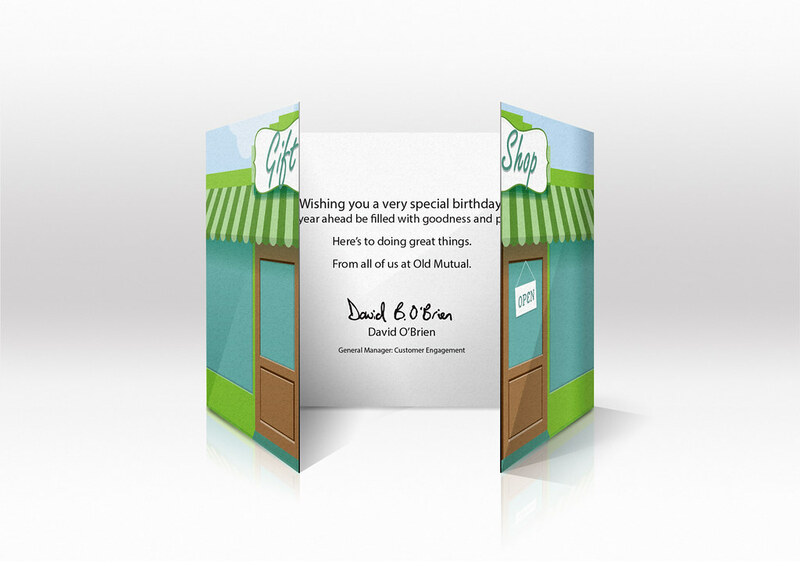 It will be a birthday gifting campaign aimed at select Old Mutual clients. Ensuring client details are up to date on the database. Express appreciation of the client as a valued customer. Facilitate the delivery of the chosen gift to the client. 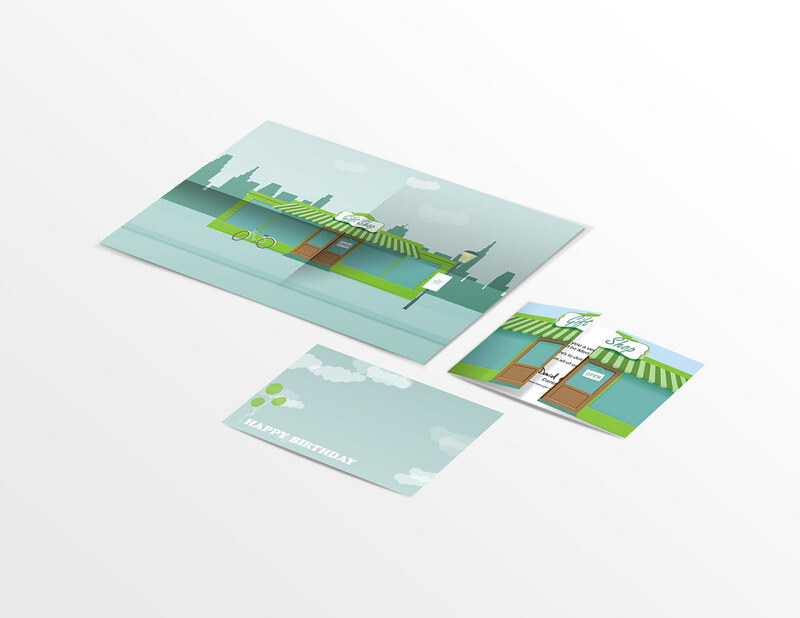 Printed collateral. Birthday cards, form and envelope. 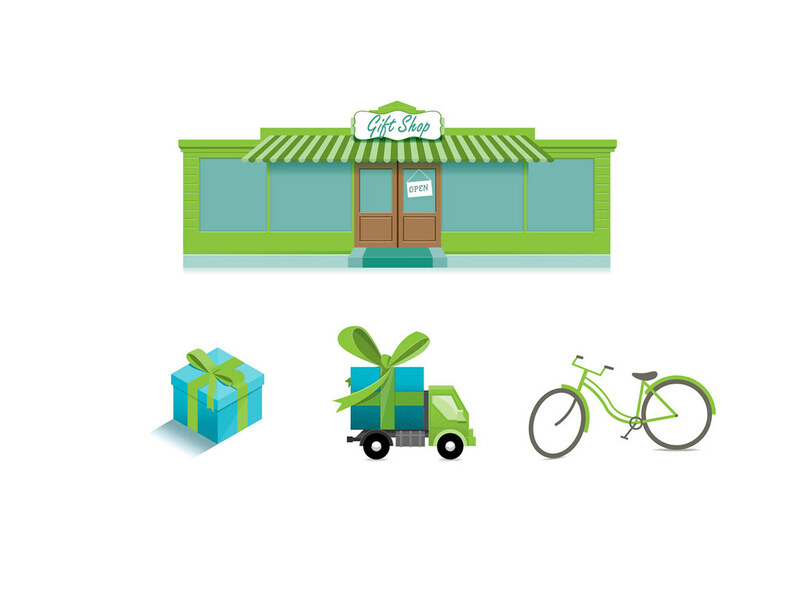 I designed and illustrated a web portal which functioned like a boutique gift shop. This was the main destination which allowed the client to visit the store, scroll through gift options, choose colours or styles depending on the item and arrange for distribution all in one place. As a personal touch we gave the client a choice of wrapping paper at the checkout stage. 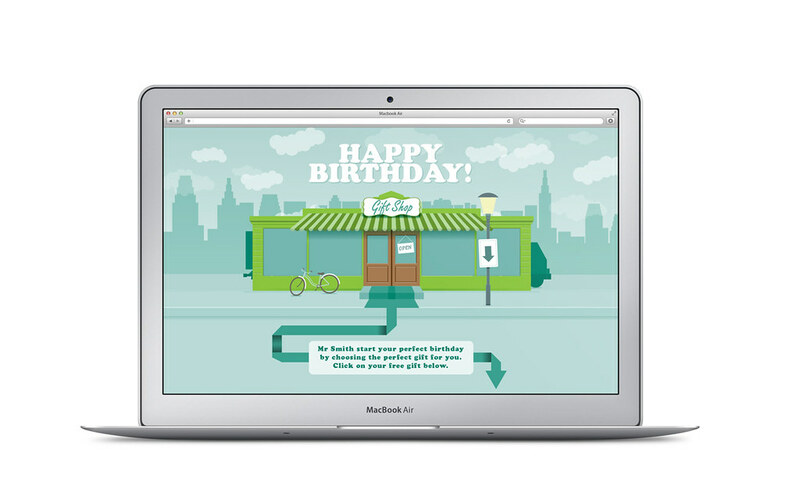 To accommodate clients without email addresses, I designed physical birthday cards that would contain a printed form to select a gift, or a URL to use to gain access to the site. Single page portal. From selection to checkout. Example of a category selection process. Well over 80% click-through rate from email and gift redemption resulting in an updated client database.